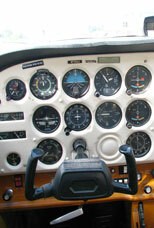 Charges are based on the total flying time (as measured by the Hobbs meter). Rental rates are wet. Certain minimums apply for full day or multi-day rentals. It is usually advisable to book your reservation in advance, to ensure that the aircraft will be available.